Q: What is Sunshine Week? A: Sunshine Week celebrates open government and freedom of information. It coincides with the anniversary of James Madison’s birth on March 16. As the Founding Father wrote in Federalist 51: “If men were angels, no government would be necessary.” He further explained the challenge of forming a government and to “enable the government to control the governed; and … oblige it to control itself.” Our system of checks and balances is a vital lever of limited government. Most of all, each branch of government is dependent on the people, the ultimate source of authority in our system of self-government. Upholding public access to public records protects the pulse of the republic. Freedom of the press also provides a critical check on government and abuses of power. Investigative journalism can expose corruption and misconduct in civic institutions of American life. Watchdog reporters and patriotic whistleblowers depend on First Amendment freedoms to step forward and share what they know about wrongdoing. For an informed citizenry, access to federal data about school, workplace, food, drug, and patient safety restores public confidence that government watchdogs are doing their jobs. Sunshine Week is a good opportunity to have a national dialogue about the importance of open government and freedom of information. It’s also a good opportunity to highlight the contributions of whistleblowers who put their livelihoods on the line to report wrongdoing. As co-founder and co-chairman of the Senate Whistleblower Protection Caucus, I will keep lighting the way for these brave truth tellers to come forward and report billing, kick-back and other fraudulent schemes that rip-off taxpayer dollars and harm public safety. Q: What drives your long-time crusade in Congress for transparency? A: An informed citizenry is vital to maintain a government of, by and for the people. Transparency is central to good government and good governance. It leads to accountability. Secrecy allows all sorts of shenanigans to take root throughout the federal bureaucracy. Weeding out wrongdoing takes vigilance and legal tools to keep it from cropping back up. Sunshine is arguably the best solution to scour systemic abuse. The light of day works wonders. Burying patient wait times at the VA, obfuscating data that undermines public health and patient safety or sloppy bookkeeping at the Pentagon are not in the public or taxpayer interest. As a taxpayer watchdog and oversight warrior in Congress, I use my constitutional legislative and oversight authority to make sure government operates as effectively and efficiently as possible. The government is a service organization, funded by the taxpayer. Taxpayers foot the bill to operate the U.S. military and protect national security, pay for public health, infrastructure and food safety programs and fund the federal judiciary, among many other services. Measures that help educate and empower the public to become an engaged and informed citizenry make government operate better. As chairman of the Senate Finance Committee, the first in a series of hearings I scheduled this year examined the rising costs of prescription medicine in America. After hearing testimony from seven executives representing Big Pharma companies, I am convinced we need more transparency on how the pricing system works and how it affects what patients and taxpayers pay to fill a prescription. Transparency informs policymaking. Everyone agrees the system is complex. We can’t let Big Pharma hide behind a smoke-screen of complexity to shield the true cost of medicine. As I said at the hearing, the list price of a drug matters. I’ll be following up with another hearing to hear from the “middle men” in the drug supply chain, including pharmacy benefit managers. Elder abuse, particularly nursing home abuse and neglect, is another area that benefits from transparency. Last year, I steered the Elder Abuse Prevention and Prosecution Act into law. It calls for federal agencies to collect more data about the prosecution of elder abuse cases and adult protective services. 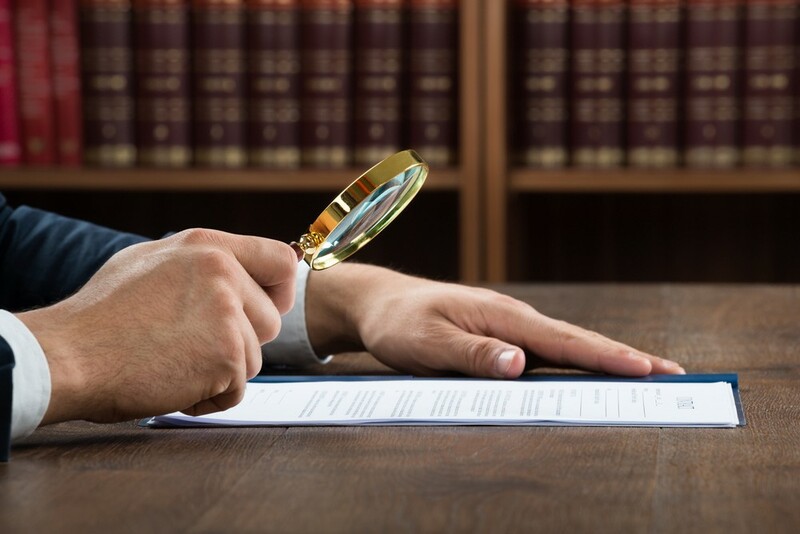 The Justice Department recently announced the largest-ever elder fraud enforcement action in U.S. history, charging more than 200 defendants in a nationwide elder fraud sweep. At a recent hearing I called to examine systemic failures in the nation’s nursing homes, an Iowan testified about her mother’s death in a long-term care facility due to neglect. It was a painful story to hear. My oversight revealed deficits in the government-backed website, Nursing Home Compare. That’s a problem, because Americans have come to depend on this information when choosing a nursing home for a loved one. That’s why I pushed for this online tool to be created to help consumers make informed decisions. Testimony from my hearing will inform policymaking as we consider policies. I will lead the effort for transparency for as long as it takes to prevent abuse and neglect of the nation’s nursing home residents. Transparency matters. And so do the tools that allow the public to access the people’s business. I was glad to update the Freedom of Information Act (FOIA) on the 50th anniversary of this historic law in 2016 with the enactment of bipartisan reforms I co-sponsored to sharpen this pivotal transparency tool. I have written sunshine laws that allow patients to track and compare information about nursing homes or learn about the financial relationship between their health care providers and pharmaceutical and medical device companies. And I will keep pushing for “cameras in the courtroom.” My bill would allow federal judges to throw open the sash of their courtrooms and enable Americans to watch the federal judiciary making decisions on issues that shape our livelihoods and way of life. Transparency is the North Star of good government. The American people have a right to know how their government conducts business and spends tax dollars.